In February of 1984, a division of the pharmaceutical company Bayer (Cutter Biological) knowingly sold H.I.V. infected medications to Asia and Latin America to prevent financial losses. However they sent the old batches, many of which they knew were infected, to Argentina, Indonesia, Japan, Malaysia, and Singapore. The worth of this medication totaled more than $4 million. Furthermore, if you want to talk about discovery – let’s say a word about aspirin. Aspirin was actually discovered by a man called Arthur Eichengrün, who was of Jewish descent; of course, the Nazi CEOs at the time didn’t want to admit their biggest discovery was made by a Jew, so they ‘removed’ all of his contributions. Bayer representatives stated that fewer than twenty patients filed liability claims against the company, however according to a later article from New York Times, published in 2003, there’s no way of really knowing how many people were infected. Most patient records are unavailable, and since the AIDS test wasn’t developed until later in the epidemic, it’s difficult to pinpoint when foreign hemophiliacs were infected. However, in Hong Kong and Taiwan, more than 100 hemophiliacs were recorded to have contracted the disease after taking medication from the old batches. Bayer one of the biggest pharmaceutical companies in the world (part of Wuppertal today), most famous for inventing aspirin. But what most people don’t know about them is that, for starters, during World War II they literally bought patients from Auschwitz, with the sole purpose of using them as guinea pigs to test their drugs on. Bayer is implicated in the development of chemical weapons. During WW1 Bayer was involved in the development and manufacture of a range of poisonous gasses used in the trenches, including chlorine gas and mustard gas. Bayer was then a subsidiary of IG Farben, one of the many pharmaceutical companies that worked side by side with the Nazis (several of which still function today). During WWII, IG Farben built a synthetic rubber and oil plant complex called Monowitz close to the Auschwitz concentration camp. Inmates worked as slave labour for IG Farben, and when they were too weak to work they were killed in the gas chambers. Bayer head Carl Duisberg personally propagated the concept of forced labour during WW1. The company placed itself under a large burden of guilt due to its heavy involvement in the planning, preparation and implementation of both world wars. But that’s not all they did – uh uh! they also invented a little product they called heroine, which was supposed to make you ‘heroic’, as Bayer branded it – though it is well known by now that the result is quite the opposite. What, still not good enough for you? Wait, there’s more! IG Farben also conducted experiments on humans. Eva Mozes Kor, among the 1,500 sets of twins experimented on by the infamous Dr. Josef Mengele, claims that IG Farben monitored and supervised medical experiments at the Nazi concentration camp where she was interned. She claims the experiments involved toxic chemicals that IG Farben (Bayer) provided. In some of the experiments, the lawsuit states, prisoners were injected with germs known to cause diseases, “to test the effectiveness of various drugs” manufactured by IG Farben. Mengele conducted genetic experiments there in an effort to create a super race of blonde, blue-eyed Aryans who would be born in multiple births. From 1970 to 1985, Bayer can be held responsible for 6.000 to 10.000 hemophiliacs being infected with HIV and hepatitis C, due to contaminated hemophilia blood products which delivered to patients. How did this happen? Bayer’s American subsidiary, Cutter, has been sued for infecting haemophiliacs with HIV and hepatitis C with contaminated blood preparations. The contraction of these diseases by thousands of people in the USA, Germany and Japan could have been prevented, if the companies had used precautionary tests and had heated the blood. In the US, 6200 haemophiliacs contracted HIV through contaminated blood and eventually received $100,000 each. Well, they extracted blood from high-risk populations including former prisoners, homosexual men, injection-drug users, and plasmapheresis facilities in prisons and delivered it to those who needed blood. Bayer paid 10 Taiwanese citizens, who were infected with the HIV virus via Bayer blood products, a total of $60,000 each. 43 other victims turned down the offer with the claim that Bayer had paid higher amounts in other countries. However, choosing healthy populations was extremely important, more then than now, because back then they couldn’t screen out HIV; as a result, thousands of people got infected with this lethal disease. In October 2001, Bayer did it again; 24 children from the remote village of Tauccamarca, Peru were killed, and 18 other were severely poisoned after drinking a powdered milk substitute which somehow got mixed with insecticide. How this happened… nobody knows to this day. Many lawsuits have been filed by those who contracted hepatitis C, including the mother of a 12-year-old boy who sought $143 million in damages and alleged that the defendants knew they were providing risky coagulants to her son and other haemophiliacs more than a decade before their infections. The suit states that the defendants improperly collected plasma from groups at high risk for hepatitis C contamination, including prison inmates, drug users and gay men. Nelson Mandela signed the Medicines Control Act in 1997, which allowed South Africa’s health minister to override patent protections to use generic AIDS drugs if there was a need. 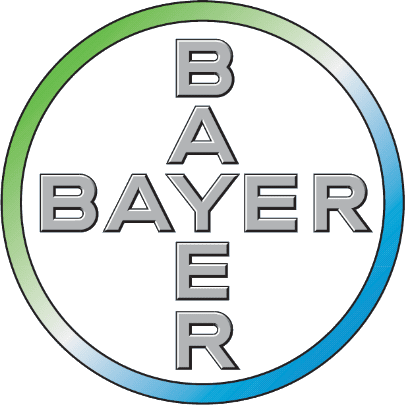 Bayer was one of several large pharmaceutical companies that filed a joint suit in 1998 against the South African government for patent infringement, in a gross attempt to deprive victims of AIDS of desperately needed medication. After three years of international outrage, the case was withdrawn. Bayer did a lot of bad stuff in agriculture too; in August 2006, it became clear that the United States rice crop was altered with unapproved genetically engineered Bayer CropScience rice – it is still unclear just how much altered rice we are talking about. Numerous beekeepers claim that Bayer’s seed treatment imidacloprid kills honeybees, and many of them have sued Bayer – France banned the product altogether. Even more recently, Bayer started campaigns of false advertising; for example, they claimed that selenium in Men’s One-A-Day multivitamins might reduce the risk of prostate cancer – which turned out to be false. Now, just to be clear – I’m not saying Bayer are evil, or they are worst than other companies, or anything like this; but you should know who you’re buying medicine from, and you should know about big companies’ history, be they pharmaceutical or any other type.